Last week, Etsy announced a big change to their feedback system. Renamed to Etsy Reviews, the new feedback uses a five-star rating system and does away with buyer feedback entirely. It has a host of features designed to build a stronger platform for feedback and dispute resolution. Let’s dig in for a closer look at how reviews work and what’s behind the choices for the revamped system. 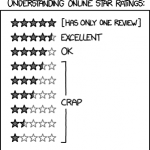 Will five-star reviews lower your feedback score? Etsy is moving from a simpler choice of positive/neutral/negative feedback to a five-star rating system. Seller’s existing reviews will be converted – positive reviews become 5 stars, neutral becomes 3 stars and negative turns into 1 star. Etsy chose the five-star system since it’s familiar to buyers; it’s used by some of the biggest shopping sites on the web – Amazon, Google Products, Yelp, Netflix, and iTunes, just to name a few. 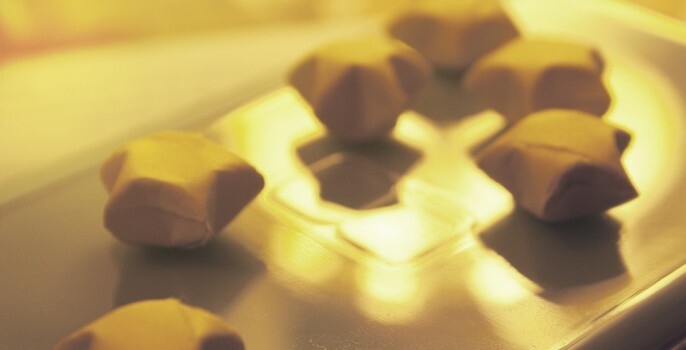 Sellers are concerned about the five-star system because it’s more subjective. What does a 5-star review mean? Some shoppers may leave a 5-star review for an item that merely met expectations, while others must be truly blown away to even consider such a high rating. The reviews are more flexible for a buyer on the fence about their experience, but also introduce variance that will lead to lower ratings overall. Good. That’s the way it should be. Etsy has had an unhealthy culture for too long where sellers felt that anything but a 100% feedback score was a mar on their record. It’s not realistic; take a look at the Etsy forums from months past where sellers posted practically in tears about a single negative feedback. It took two hundred positive feedback ratings to squelch a single negative and return to your former 100% glory. Five-star reviews don’t share this burdensome expectation. Think about the last time you bought something on Amazon – 4 stars? Hey, that’s a good product. That would equate to a ghastly 80% feedback score on Etsy. The Godfather and The Shawshank Redemption, widely acclaimed as two of the best movies of the modern era, only achieve a modest 4.5 stars on Netflix. See the difference? I expect many more sellers to fall below 100% (5 stars) in the new system, but it won’t be a big deal since 4 stars still looks pretty darn good. Seasoned Etsy sellers have reason to be excited about the review system in the short term. Since many sellers had 100% feedback scores, they’ll inherit an inordinate amount of 5-star ratings and be boosted over new shops for the next year until feedback from the old system drops off and the scores level out. The biggest improvement by far is that seller star ratings are based only on the last year of reviews. Feedback lasting forever was a major gripe in my Improving Etsy’s Feedback System article. It’s difficult to recover from negative feedback when it will haunt you forever. The new system will give sellers a chance to improve and wipe away previous mistakes, or to finally escape unjust negative feedback left by a buyer having a bad day. The total number of reviews you’ve ever received is still shown – reviews older than 12 months just aren’t used in the star average calculation. Negative feedback is no longer anonymous – the new reviews show the buyer’s account name publicly. This is great news for Etsy sellers; anonymity often gives people an excuse to be nastier than a public system where they can be held accountable. It also helps make the reviews a bit more personal. Etsy took it one step further and added encouragement for buyers to convo the seller when choosing a 1-3 star rating. Sellers were mystified in the old system when a buyer left negative feedback with no comment. Etsy addressed this in the new system by requiring at least five words in the comment when leaving a review. It increases the burden for a buyer looking to leave a generic positive review, but helps sellers and other buyers understand why a buyer chose a certain star rating. Lastly, a feature that left sellers aglow is gone – buyers can no longer submit appreciation photos along with their review. Etsy has created a page to access appreciation photos. Save them while you can, the page will only be accessible through September before the appreciation photos are gone for good. The new review system allows buyers to edit their reviews for 60 days after a purchase is eligible for review. The second point is causing quite a stir; items are only eligible for review after Etsy thinks the item is likely to have arrived. The eligible period is calculated from an item’s processing time plus a shipping window – 5 business days for domestic, 15 for cross-border shipments. Etsy is trying to solve a real problem. In the old feedback system, a buyer could leave a review immediately after purchasing an item and open a case a mere 7 days after purchase – often well before an item had a chance to arrive. Processing times are often ignored on the site by customers used to the quick shipping of a retail outlet. The big downside to this system is that Etsy hasn’t put enough smarts into figuring out when an item arrives. If you bust your chops and get an order out ahead of time, it’s possible the customer will receive the item and not yet be able to leave a review. Etsy is working on email review reminders to entice customers back once the item is eligible, but a better system would pay attention to the tracking information that Etsy already collects to know when an item arrives. Etsy has also admitted that sellers aren’t notified when a customer edits their review. I expect this will change with some push back. I can understand not wanting to be notified any time someone corrects a typo in their review, but I would love to see when someone has changed their star rating or left an update after using the product for a few weeks. Etsy has abolished buyer feedback with the new review system. Good riddance. The first two strikes in my Etsy’s Feedback Failure article emphasized the broken behavior it encouraged. Buyer feedback was from a bygone era, a time when sellers didn’t receive instant payment for an item. Nowadays, sellers don’t choose whether to accept an order from a customer – the order comes in paid in full, and to refund the money and refuse to sell is an exceedingly rare occurrence. This relieves a burden on Etsy sellers to leave feedback for buyers, yet many sellers valued buyer feedback as a way to thank customers. It was also a decent way for a buyer-turned-seller to start off on the right foot with positive feedback from their purchases. I understand the push back, but the negatives outweigh the positives. By Etsy’s own admission, buyer feedback was rarely checked and many buyers were surprised to know that they had a feedback score at all. The Kiss & Make Up system is also on the chopping block. The childishly-named feedback resolution tool was scorned by sellers and often felt a bit like extortion on either side of a transaction. Etsy made it obsolete by allowing buyers to directly edit their own reviews after the fact, encouraging buyers and sellers to come to their own resolution. Etsy has landed in the hot seat by leaving out one of the most requested features – allowing sellers to respond publicly to negative reviews. Responding to a review allows sellers to salvage some dignity when a disgruntled buyer won’t respond to convos, or when a fair resolution can’t be negotiated. Many sellers waved pitchforks about this change being left out; earlier today, Etsy succumbed to the pressure and announced that a method of public response is in the works. Update: Etsy has started rolling out the seller response feature. Sellers are allowed to submit a response for any review that’s 3 stars or under, so long as the buyer’s last edit was in the last 60 days. Once the seller leaves a response, the original buyer review is locked and cannot be edited. It’s not clear that public bickering between a seller and buyer is in anyone’s best interest. Imagine if Amazon allowed manufacturers to respond to negative reviews. Seeing honest reviews responded to in a bitter or defensive way by a manufacturer would only make the review system more hostile. There may be the occasional buyer that has a chip on their shoulder, but most negative reviews are an honest critique from someone who wasn’t happy with the product. It’s an opportunity for the seller to evaluate themselves and ask how they can prevent the problem in the future. Since reviews are editable, it’s also a call to action to contact the buyer privately and show some customer service prowess. Etsy’s new review system is a big change. Feedback is near and dear to sellers’ hearts; it’s an entrenched process that sellers are used to dealing with every day. Etsy took a big step last April in inviting feedback with a seller survey. The survey allowed Etsy to take a big swing and try to solve the most serious problems with a previously broken system. The decisions that are causing the most ruffled feathers are the ones that aren’t easy to make. Reviews are a complicated problem that no one has gotten 100% right – even Amazon, the undisputed king of customer reviews, wrestles with issues in their review process. A major change like this leaves a wasteland of kinks and small changes to work out. Etsy has already improved the less-than-professional guidance they originally had to explain star ratings. 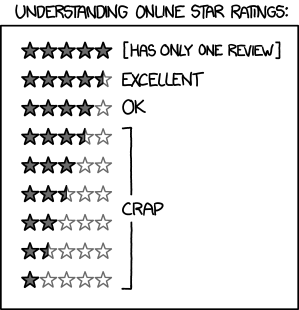 I expect many more changes and refinements to the new review system as the holiday season looms. The best way to spit-shine the new system is to continue to provide feedback to Etsy on the issues that are most important. Cover image by Ashley Wang on Flickr. 1. I contact the ETSY seller to tell her the packing was not sufficient – she tells me I broke it and ignores any request for refund. Diana, I’m so sorry to hear about your negative experience shopping on Etsy.